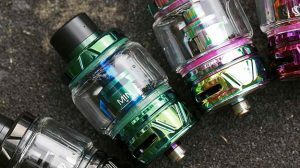 If you’re looking for a complete guide to the SMOK Mico Kit, we have created yet another highly detailed piece of information. 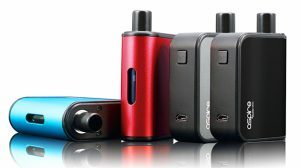 The SMOK name is synonymous with quality and the SMOK Mico all-in-one system is one of its latest offerings. Since 2010, SMOK has forged a truly global empire with 80 million customers around the world. 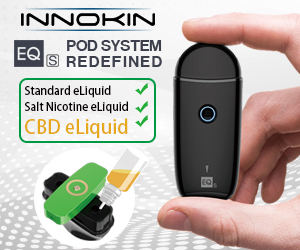 Over the next few minutes, we’re going to take a quick look at one of the most stylish little pod systems on the market, see how it works and what it’s hiding on the inside. Whether you currently own the Mico and just looking for its simple operating instructions or are thinking about grabbing one and looking for a little extra information, we have you covered. When it comes to cornering the market with innovative products and the ability to capture the customer’s attention, you don’t get better than SMOK. With every product released in various colors, the company makes sure that they have a product for everyone. 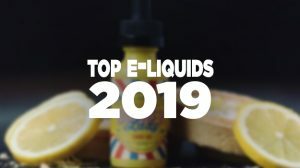 Whether you are looking for a 200-watt box mod for pumping out clouds or a compact pod system for everyday use, you can guarantee that SMOK has what you’re looking for with several variations. Shenzhen IVPS Technology Corporation Ltd., is a market leader for a reason; While they may not be directly credited with major breakthroughs in technology, they are quick to incorporate them into their systems. More importantly, they aren’t afraid to use various pieces of their existing catalog to create a brand new, improved design. 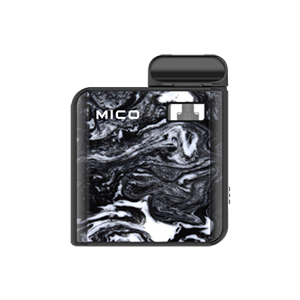 The SMOK Mico is an example of this amalgamation of existing technology, with a couple of upgrades and turned into a brand-new product. “Small in stature”, “beautifully designed” and “a mod that creates more vapor than should be possible” are just a couple of phrases used by reviewers to categorize the SMOK Mico. In reality, a mod that takes up almost as little space as a Zippo lighter has been tried before, but most of them have failed to make a stamp on the public. Measuring in at 56mm by 46mm by 5mm the SMOK Mico is truly pocket sized. Mods that are finely crafted out of Zinc Alloy and plated with resin are becoming more common, but none up till now have created miniature masterpieces like this. Due to the process required to make the resin plates, no two are identical although there are currently seven basic colors to choose from. Black, Red, and Green make up the most basic set and then come face to face with the Prism options: Prism Chrome, Prism Gold, Prism Blue, and Prism Rainbow. Everything about their appearance is flawless, with SMOK describing them as miniature abstract oil paintings filled with fluid lines. An instantly noticeable difference to most pod systems is the fact that the Mico has a single switch on its side, designed to change the devices power state with a simple flick. 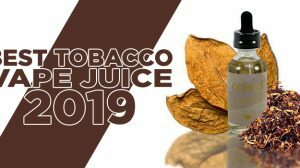 While some pod systems are problematic when it comes to knowing exactly how much juice is in the tank, the addition of a simple window means that your salt nicotine e-liquid is always on view. The ergonomic design flows from the delicate curves of the box all the way to the tip of the pod. Similar in design to the pod cartridges for the SMOK Novo and SMOK Nord systems from SMOK, it’s curved to fit comfortably between your lips. With three coil-type options, Regular, Mesh and Ceramic Mico coil cartridges and 1.7ML vape juice capacity, make the SMOK Mico Coil a touch smaller than its predecessors but the trade-off is greatly increased battery life. With a 750mAh internal battery, charged via Micro-USB, devices don’t become much simpler to use. Easy to operate and simple to fill is half of the battle but combine that with 2 amazing coil choices (1.0-ohm Regular and 0.8-ohm Mesh coil) and you realize that you are onto a tiny powerhouse that produces great flavor and killer clouds. What some may see as an added bonus, but we see as an added necessity for such a small device, SMOK has added an awesome lanyard in each pack. The Mico pod device is so small, if you didn’t have it attached to you, you would probably lose it. Things really don’t get much simpler than operating this device. However, we urge you to stick around and we’ll tell you how to charge it, fill it up and get it working. Charging the Mico: Simply plug the enclosed MicroUSB cable into the Mico and either a USB wall adaptor or USB connector on your computer. It is very important never to plug it into an adaptor that pushes over 1 amp. Anything that is considered a fast charger can damage the 700mAh battery very quickly. The LAD light on the side will tell you how much charge it’s holding; Red, less than 30%, Orange 30-70% and Green for 70-100%. Filling the Mico: Before first installing the pod, look on the side and you will see a small rubber piece on the tank. Gently lift the rubber bung and fill with your choice of e-liquid. The juice hole is big enough to accommodate a small dropper or the plastic nozzle of any Chubby bottle. After filling the tank, make sure to firmly re-insert the rubber bung to prevent any leaking. Attaching/Detaching the Pod: Attaching the pod is as simple as sliding it into the hole in the Mico body. It is a push fit design, there are no magnets or clips to hold it in place, but it’s a snug fit every time. To remove the pod, just grab the top of the pod and the Mico body in separate hands and gently pull them apart. Activating the Mico: Flick the toggle switch upward to power up the device and the LED will flash 5 times to let you know its working. To actually hit the mod, just place it between your lips and inhale. The air activated system will do all the work for you, keeping it as simple as possible. To power, the device down, pull down the toggle switch.